Patterns, reviews, crafts, and experiences! Good morning! This week I've been working a lot with broomstick lace. It's such a pretty technique, and I don't think it's used enough! 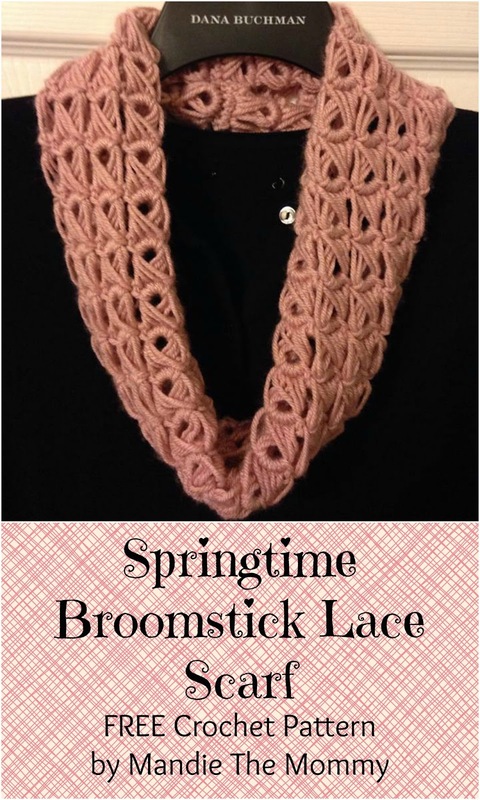 So I've designed two scarf patterns for you using broomstick lace. 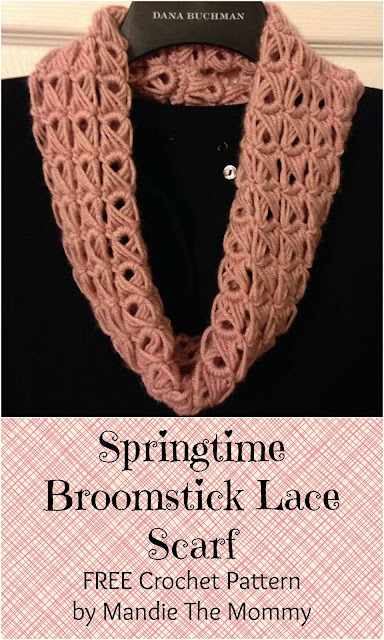 The first is my Springtime Broomstick Lace Scarf. It's perfect for this time of year, when it's getting warmer but there are still a few chilly days. Put it over a light sweater, or a cute sun dress! 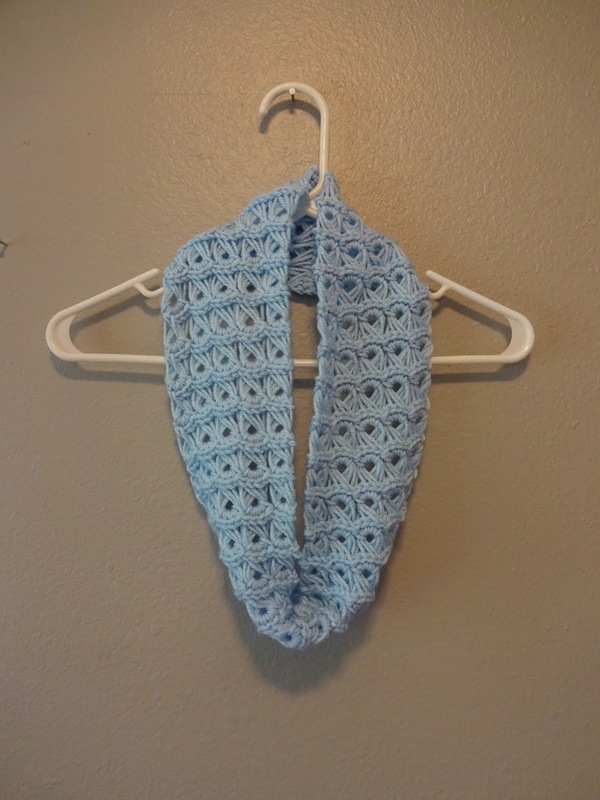 There is a downloadable version of this scarf available for purchase here: Ravelry Link. 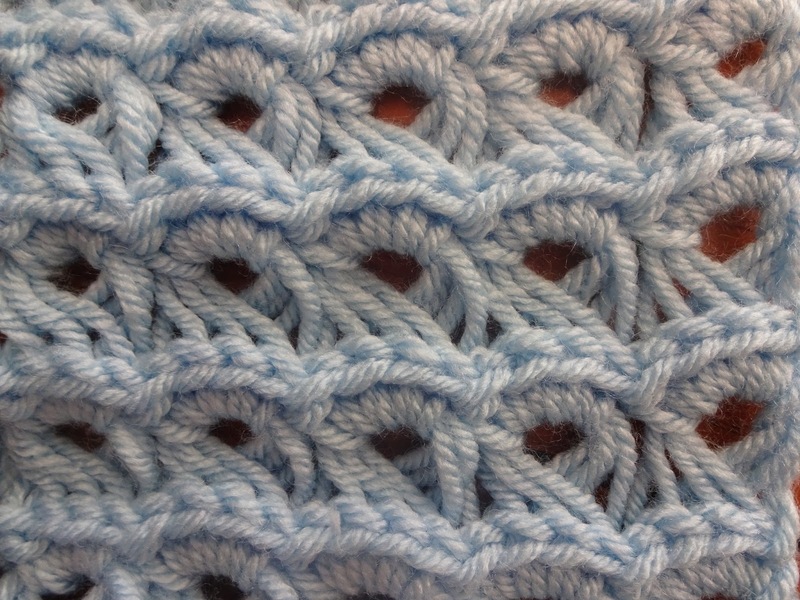 Remember to favorite this pattern and add your projects! While you're there, why not check out some of my other patterns too? - Gauge is 1” = 4 sc. Row height is not important. Follow the dimensions below for length of piece. - Scarf dimensions (before sewing) are 30” long by 4.5” wide. - Stitch/loop count is indicated in (parenthesis). “Tool” – This refers to whatever you are using to hold your loops. You can use large knitting needles, a dowel rod, or anything else that works for you. Just remember to follow the dimensions listed above. *…* - Repeat what is between the asterisks. Repeat rows 2-3 until piece measures 30” (Or 48”-60” for scarf to wrap around). 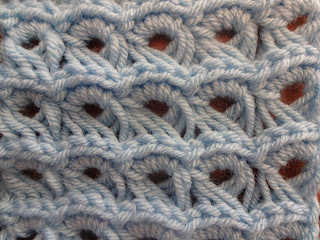 Slip stitch ends together OR cut yarn leaving a long tail and sew ends together. Weave in ends. I look forward to seeing your projects on Ravelry and Instagram (#mandiethemommy). I hope you enjoyed this pattern! Pattern and pictures property of Amanda Slate Designs. DO NOT copy, repost, redistribute, or claim as your own this pattern or any of the pictures. You have permission to sell any items you make using this pattern. 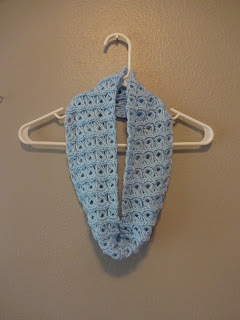 Please link back to the Ravelry listing and credit Amanda Slate designs as the designer. Mandie The Mommy blog (Amanda Slate) is a participant in the Amazon Services LLC Associates Program, an affiliate advertising program designed to provide a means for sites to earn advertising fees by advertising and linking to amazon.com. Therefore, some of my posts may include affiliate links. This allows me to bring you more quality patterns and content, and to support my family. Thank you!